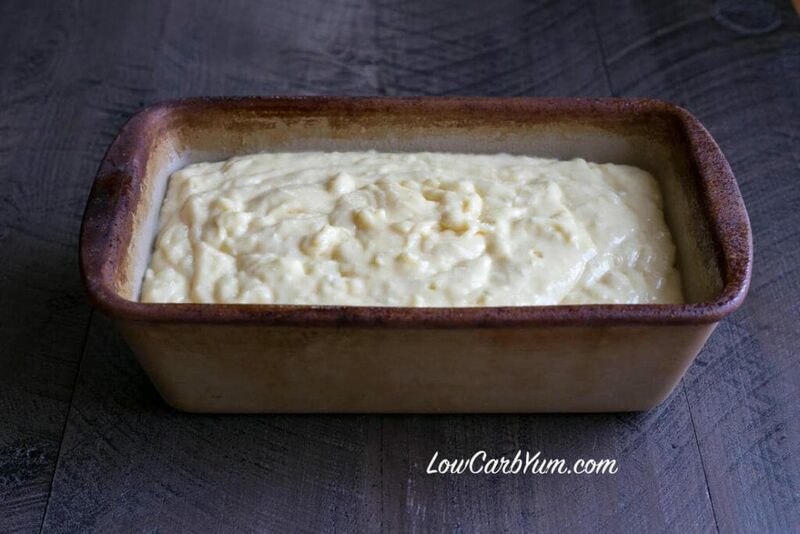 Are you looking for a tried and true low carb bread recipe that has been adequately tested? 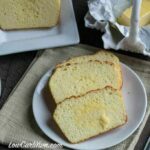 Check out the keto friendly Soul Bread recipe! Have you heard of Soul Bread? 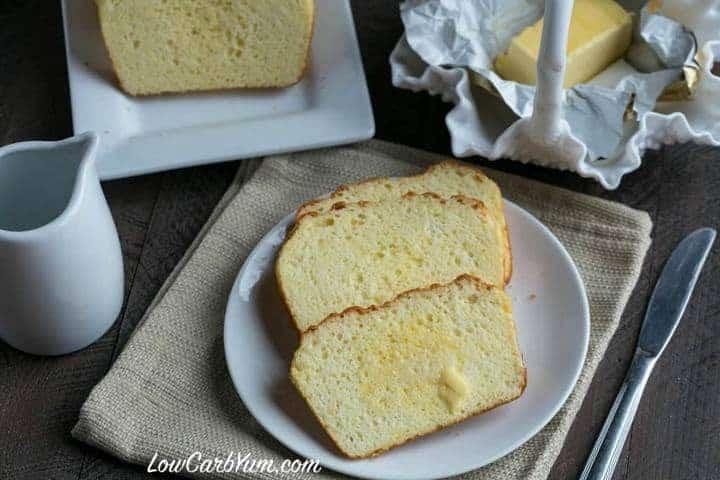 It’s an amazing low carb bread recipe that’s easy to make and has only 1 gram carb per slice. 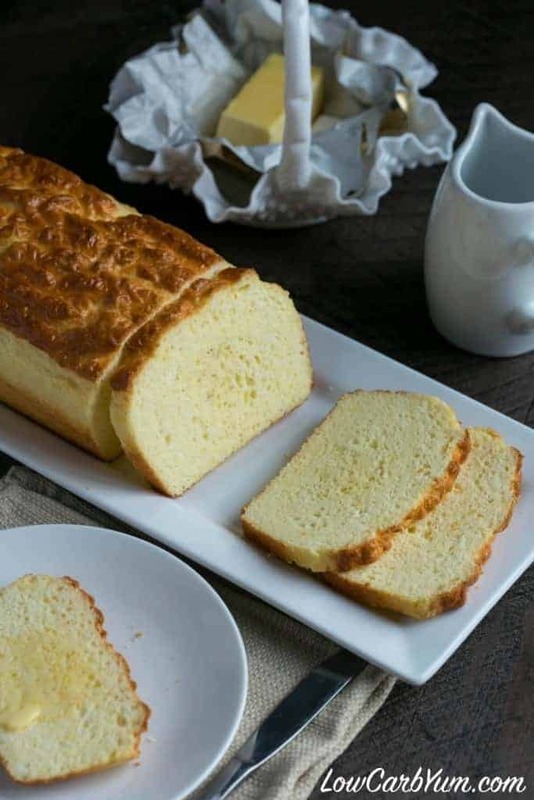 The bread is named after Souls Song who set out to develop the perfect low carb bread recipe. 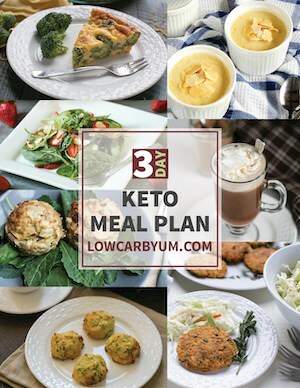 She got help perfecting her recipe from others who tried the recipe and offered ideas in the Atkins and LCHF – The Road to Success Facebook group. 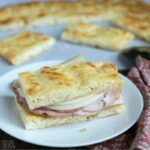 Low carb Soul Bread became an instant hit and variations of the bread started to pop up everywhere. 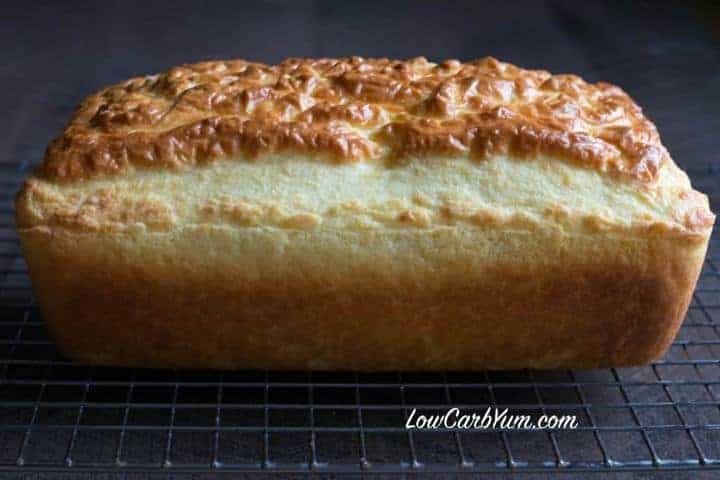 I learned about the low carb bread recipe on Facebook when a member of the Atkins and LCHF group contacted me to share the recipe on the Low Carb Yum Facebook page. 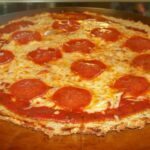 Although I shared the recipe on my low carb recipe page, it didn’t get much engagement and very few people saw it. 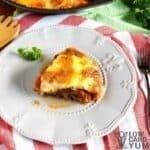 So, I decided to give the recipe a try and share my thoughts on the recipe here on my blog where it would be seen by a lot more people. 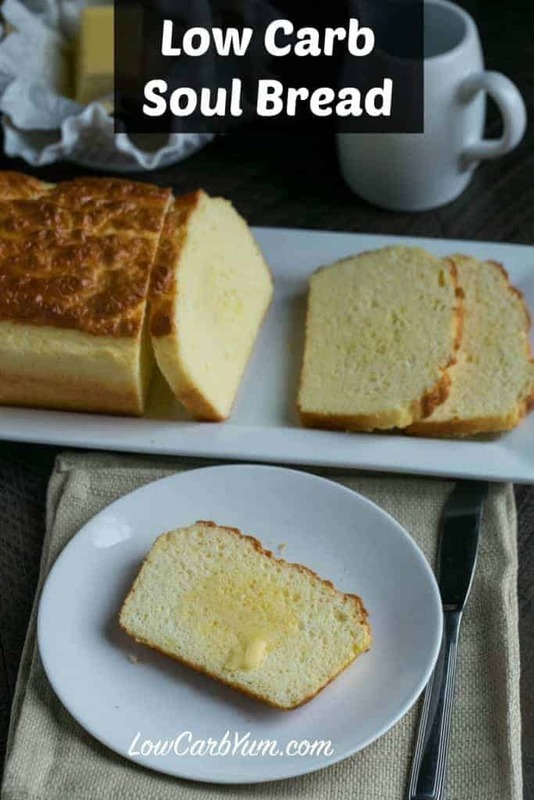 Soul Bread uses whey protein as the low carb flour substitute. There are a lot of different whey protein brands out there and some did not produce great results. The creators of the recipe recommend using the two brands that tested well. These brands are Nature’s Best ISOPURE Whey Protein and Hoosier Hill Farm Whey Protein Powder. I used the Hoosier Hill Farm brand of whey protein as it came in a smaller amount at the lowest cost. The recipe calls for 1 2/3 cup of whey protein for the 9×5-inch loaf which isn’t too bad. I should be able to make at least two loaves with the amount of protein powder in the bag. My son, who is into weight lifting and muscle building, discovered my large container of Designer Whey Protein Powder and used most of it up. Since I was almost out, I needed to replenish my supply anyway. The bread had a very good rise after it was baked. I used a stoneware pan sprayed with a bit of oil. The bread popped right out! I liked the nice crunchy crust that the bread had. The top wasn’t smooth, but it wasn’t noticeable after slicing. The Hoosier Hill Farm package is a bit small. 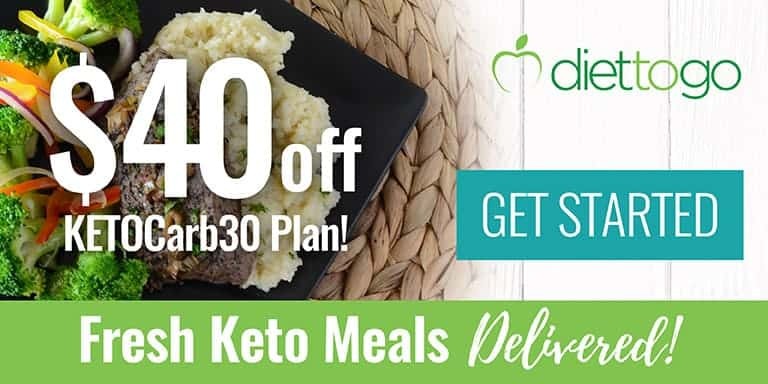 I will order the Nature’s Best ISOPURE Zero Carb and try that in the Soul Bread recipe next time. The batter was pretty light and airy. I gave it a taste and it had a nice flavor so I left the touch of sweetener out. A lot of commercial breads have sugar added as a flavor enhancer. The Soul Bread recipe leaves this as an option to add a few drops of either liquid sucralose or stevia. You’ll get 16 slices of bread out of the 9×5-inch loaf. 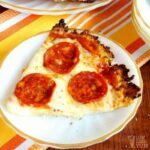 At 1g carb per slice, it’s a bread that is even safe for low carb induction. You can have a slice with your eggs, make a grilled cheese sandwich, or just serve it with a pat of butter. 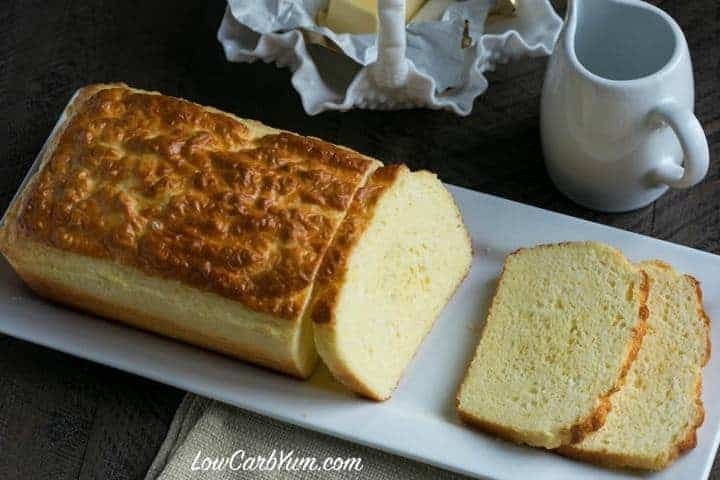 Low carb Soul Bread has a very nice light texture. It is a great bread to make sandwiches with. I did find it a little dry near the edges, but otherwise, it was very good. The bread was perfect served warm out of the oven with a little Kerry Gold butter. I also took some slices into work for breakfast and it kept me full the whole morning. 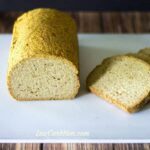 If you’ve been searching for the perfect low carb bread recipe, I encourage you to give Soul Bread a try. Just be sure to use the whey protein that tested well as not all brands of whey protein gave good results by those who experimented with the recipe. 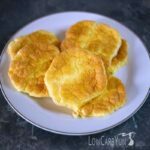 There are other delicious variations of the low carb Soul Bread that have popped up due to the popularity of this new low carb bread recipe. Lover’s of the bread have come up with variations such as bacon cheddar, cinnamon pecan, lemon blueberry, toasted onion and cheddar, pumpkin pecan, rosemary garlic, and eggnog cinnamon. 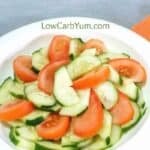 Are you ready to try out this wonderful new low carb bread recipe? You can find the original Soul Bread recipe and variations at Low Carbe Diem. 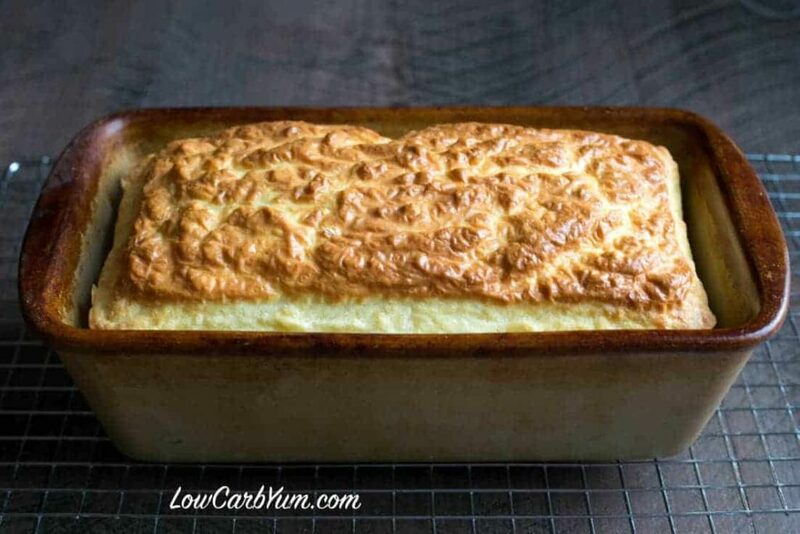 Are you looking for a tried and true low carb bread recipe that has been adequately tested? 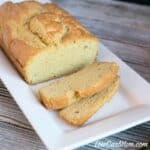 Check out the low carb Soul Bread recipe! Add dry ingredients to cream cheese mixture and stir well with spoon or spatula. Don't use mixer or hand blender for this step because it will whip it too much. ** Not all isolate protein powders produce great results. Nature’s Best ISOPURE Whey Protein and Hoosier Hill Farm Whey Protein Powder are two brands that tested well. 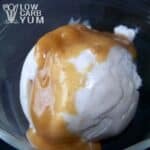 Protein from the powder typically breaks down in baking so protein available may be less than stated. 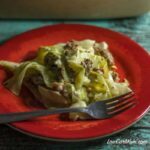 Variations of this recipe are available at Low Carbe Diem and by searching low carb #soulbread on Pinterest.